Post Workout Recovery Shake: What Your Body Needs? Why it’s useful to mix protein with carbohydrates in a recovery shake. Most intense exercise regimens – including Crossfit and other high-intensity functional training styles – burn up a lot of carbohydrates and tear down muscle tissue, therefore efficient recovery requires reloading carbohydrates and protein or amino acids, as well as some other micronutrients such as electrolytes, and of course water. Managing inflammation can be useful as well. Especially critical is this nutritional support post-workout if additional exercise sessions are scheduled for the same day! What you might not know is that insulin sensitivity is higher after training of which you could take advantage. The better your insulin sensitivity, the better your insulin response will be after a fast elevation in the concentration of blood sugar (or in the amino acid L-Leucine amongst others). As a result, insulin starts a signalling cascade in order to increase the uptake of sugar (glucose) into the depleted storage compartments such as muscle cells (in the form of glycogen) – after an intense training session the provided fast-acting carbohydrates (high glycemic index) tend to be stored as glycogen in muscle cells. Insulin acts as a storage hormone for lipids, carbohydrates and amino acids as well. 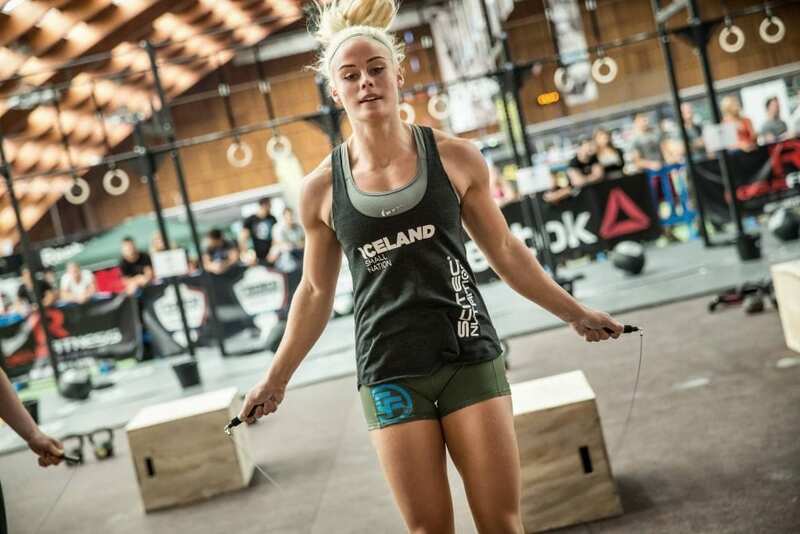 Currently 4th placed worldwide in the Open, Sara Sigmundsdottir uses Balanced Recovery as a post workout shake. Hence by mixing up a good protein source with fast acting carbohydrates you can get a big boost in insulin activation, which would result in a better, faster glycogen and amino acid reload and muscle cell recovery. Whey protein, especially the hydrolysed form, acts as a fast insulin activator as well because of its high L-Leucine content. This insulin sensitivity is the most active in the following 30 minutes after training (generally known as the anabolic window). A lot of athletes, coaches and sport-science laboratories have tested different ratios of carbs and proteins after high intensity workouts as a post-workout recovery regimen, but the best has always been the 2 parts of carbohydrate and 1 part of protein ratio. How much carbohydrates and protein to take right after the workout? An easily and quickly digestible amount of protein is 20-25 grams (especially if it is a hydrolysed protein formula) per serving giving you 40-50 grams of fast acting carbs to define a good ratio. Fast acting carbs are for instance maltodextrin, highly-branched cyclic dextrin, waxy maize (these carbohydrates give you a fuller, more gelatinous look and taste to your recovery protein shake). Intense exercising increases the cortisol hormone (a stress hormone) level in our blood, if that is not taken care of and remains elevated chronically in the longer run, it may be the root problem of several diseases (chronic inflammation, metabolic disorders). Cortisol is inhibited by activating the insulin response in the aforementioned anabolic window. Hence by activating the insulin pathway we can not only replenish the depleted glycogen and protein stores (amino acid), but could decrease the level of cortisol in the blood, resulting in a better health status. Due to intense training and sweating we lose a lot of water and minerals as well, particularly Calcium, Chloride, Magnesium, Potassium and Sodium. In order to keep our body healthy and our mind focused we need to recharge our bodies with those minerals. The same goes with the excess oxidation of the body (resulting from training), which may be harmful for our body if not properly taken care of (excess reactive oxygen species levels – ROS – resulting in oxidative stress, DNA breakage and significant damage to cell structures). Vitamin C (antioxidant) supplementation is one proper way of attenuating the oxidative stress in the body. WOD CRUSHER’s BALANCED RECOVERY , a post-workout recovery formula is engineered to provide significant and balanced support with its advanced proteins and carbohydrate matrix, plus several useful extra ingredients as fortification! ADVANCED PROTEINS: this formula is based on what is regarded as the best of the best – hydrolysed whey protein, which is an enzymatically “pre-digested” protein, it’s already broken down to some extent in similar fashion to digestion, therefore its absorption and utilization is the greatest. 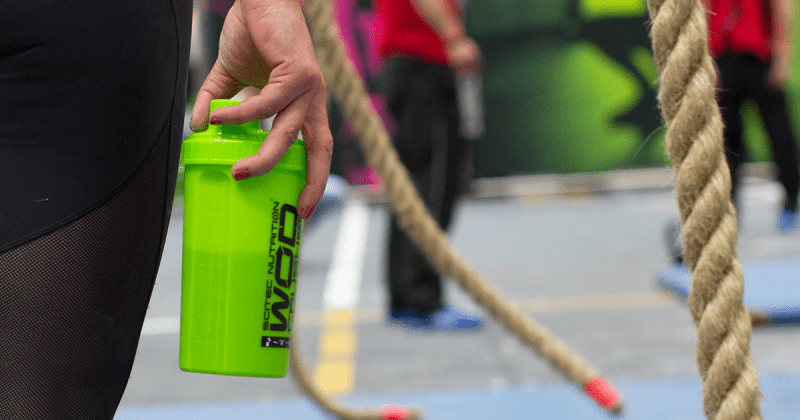 Whey protein is the industry standard even in the Crossfit world, since its biological value is the highest! Protein’s role is well-known, but in highlights: protein can contribute to the maintenance or growth of muscle mass, and to the maintenance of normal bones! ADVANCED CARBOHYDRATE MATRIX: in a specific ratio to protein, Balanced Recovery provides a carbohydrate matrix that features different release-time carbs. Fast and sustained release characteristic substances are both included, among them Palatinose™ and Highly Branched Cyclic Dextrin! EXTRA AMINO ACID SUPPORT: the amino acid Taurine is added to the formula as well, which is a semi-essential amino acid that acts as a lipid membrane stabilizer in the body and can aid various anti-oxidant defense systems. EXTRA IMMUNE SUPPORT: Vitamin C helps to protect cells from oxidative stress and contributes to normal collagen formation for the normal function of cartilages, bones, blood vessels, gums, teeth and skin. Vitamin C also helps to maintain the normal function of the immune system during and after intense physical exercise (the beneficial effect is obtained with a daily intake of 200 mg in addition to the recommended daily intake of Vitamin C)! Bromelain is a pineapple extract, a mixture of protein-digesting enzymes called proteases. Crossfit is truly a unique sport, no other sport has such complex demands in terms of nervous system and especially energy system usage (all intensities and pathways are used and taxed!) and therefore proper nutrition and recovery are essential for optimal performance, even more so if you intend to compete. 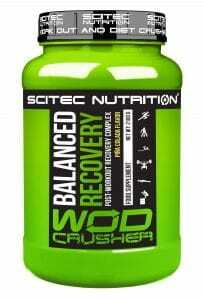 WOD CRUSHER’s BALANCED RECOVERY maximally supports these demands and provides a complex, complete solution with its carbohydrate based formula!